The 9/11 Memorial opened a decade after the September 11th terrorist attacks to the United States. The Memorial Plaza is located on the former World Trace Center Site and it is a contemplative sanctuary that honors the nearly 3,000 victims who perished. 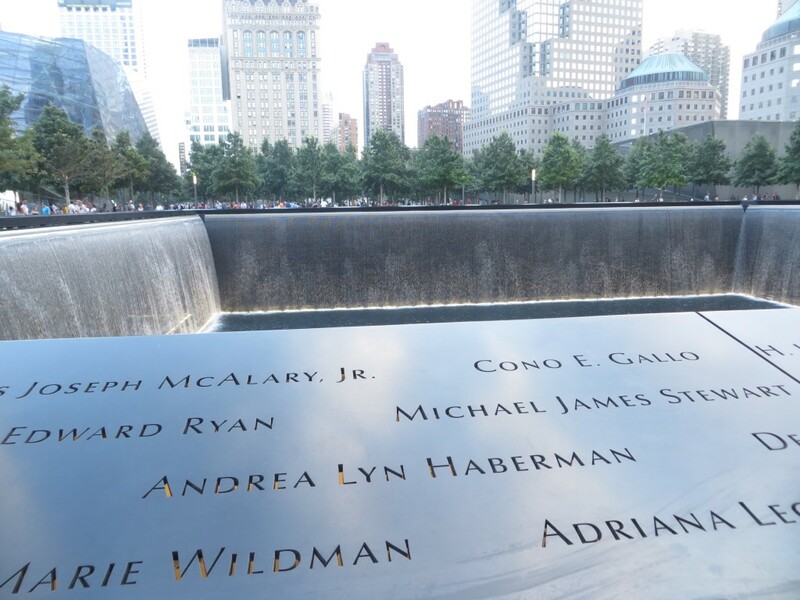 The names of the victims are inscribed in bronze in the two reflecting pool waterfalls that are set where the twin towers used to be. The 9/11 Museum is a building located at the Memorial Plaza which mission is to document significance and impact of terrorist attacks to our community. There are several exhibits and artifacts from the attacks. It also has a collection of stories about victims, survivors and eyewitnesses. This is the wall that divides the public area from the repository of the unidentified human remains. This column was the last beam to be removed from Ground Zero. It is a symbol of strength and resilience. I do not think that there are words to describe the feelings when visiting the Memorial and Museum. Visiting should just not be because its on the top things to do while in NYC. The museum is not a place to take selfies or going for simply curiosity. It is going to be an emotional experience. Remember that some families could never recover the body of their loved ones. It is a place to pay tribute to the death ones and to never forget to love everyone around you. I think it is important to commemorate the live of the thousands of people who died, to the ones who risked their live by saving others and to pray for the victim’s family who still suffer.The only thing I disliked is the Gift Shop. There could be other ways to cover operational costs. Museum’s displays and images are enough memories to take home from a tragic event. No one should be wearing a 9/11 t-shirt or have the twin towers image imprinted on a mug.